When Nike first daubed an aerial image of north London on Tottenham’s new third strip, Pies momentarily thawed, praising the kit designers for including such a smart, novel motif. 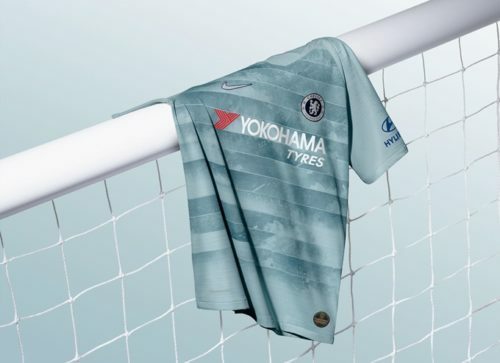 Several weeks on, it turns out Nike have done likewise with all their new third kits, with Man City, Atletico Madrid, Barcelona, etc, all getting the same ubiquitous treatment, as is the norm these days. Ostensibly it’s a really swish shirt, but we’re just a little tired of Nike’s one-for-all kit homogeneity now. 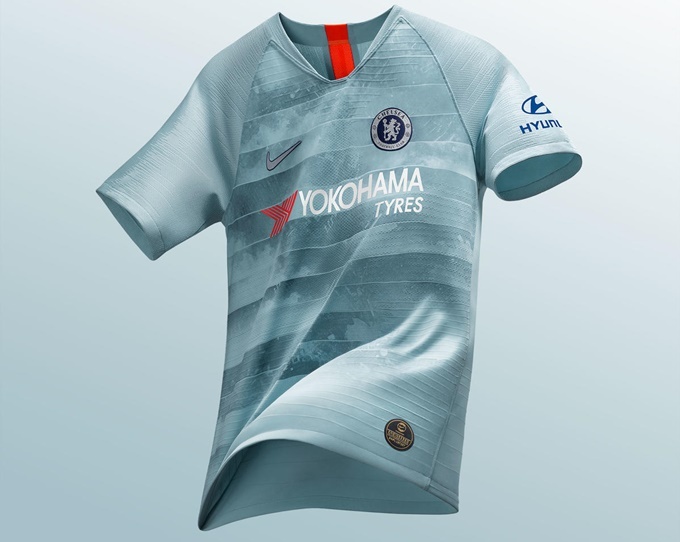 The jersey, which is paired with matching teal shorts and crimson socks, also features a ‘NikeConnect’ tab (the black button on the lower hem) which allows fans access to exclusive interactive content via a corresponding smartphone app. It will be worn by the Blues during their Europa League campaign this season. Is that the Brighton club crest? 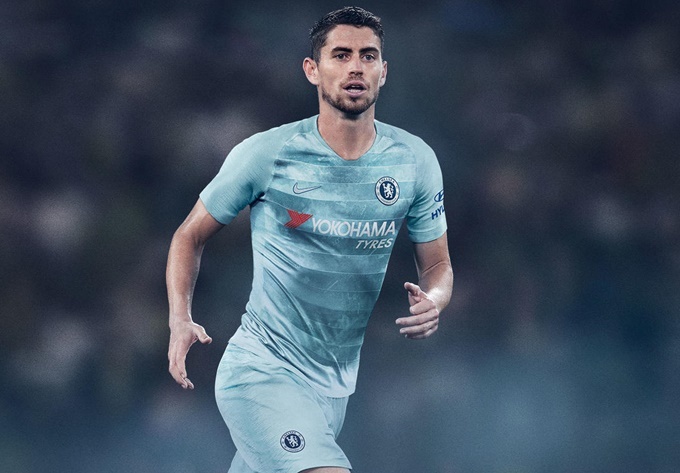 I really, really, hate this monochromatic trend for away and third kits. Like viewing a rainstorm from inside an office building. I don’t care for the blur method.